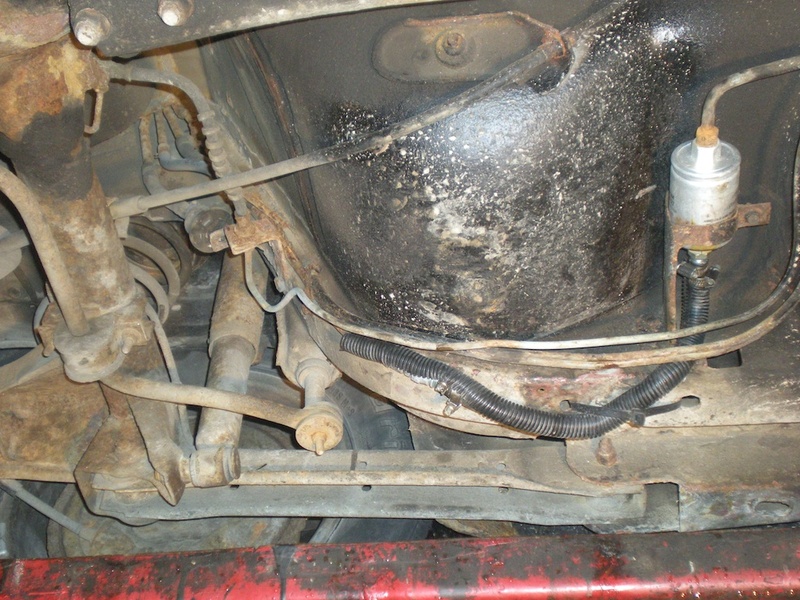 While changing the coolant, I had a chance to see what condition the underbody, chassis and various pipes are in. 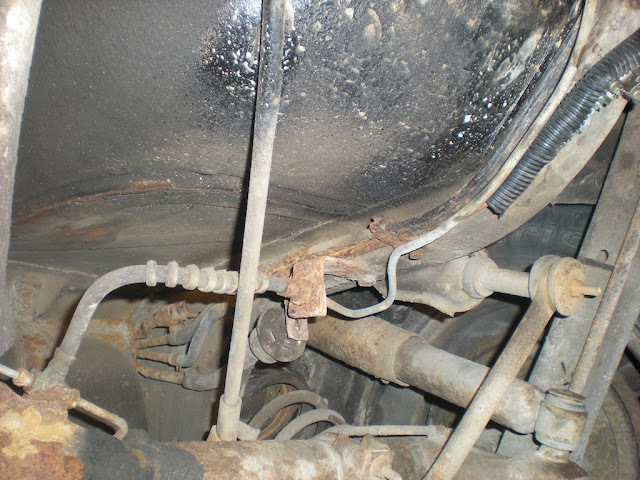 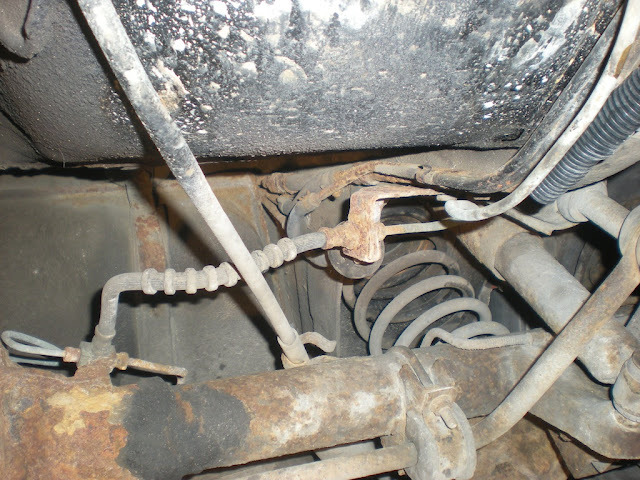 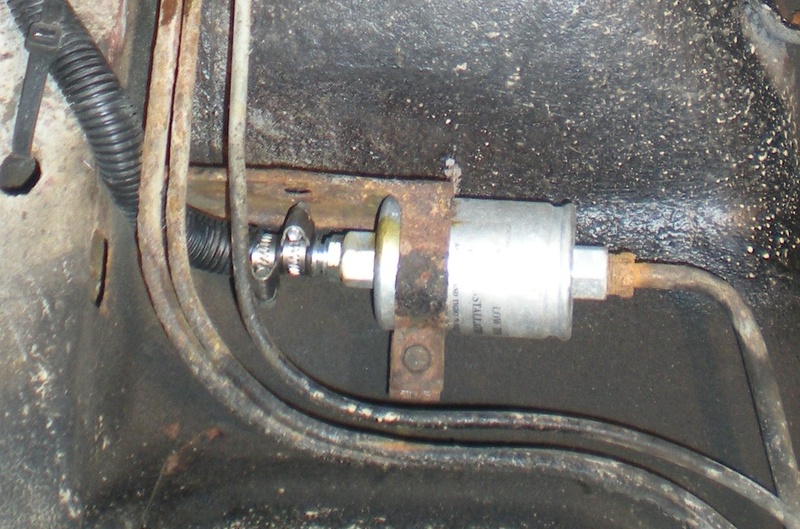 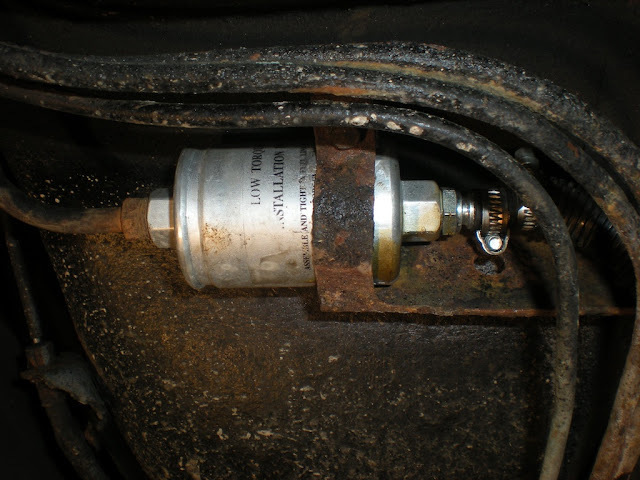 Of course, there's rust everywhere and the fuel and brake lines look like they're about to break any time. 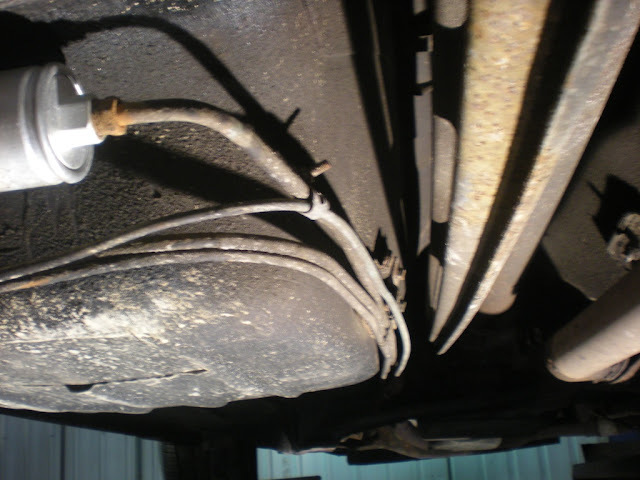 Someone has even replaced part of the fuel feeder line with a rubber hose. 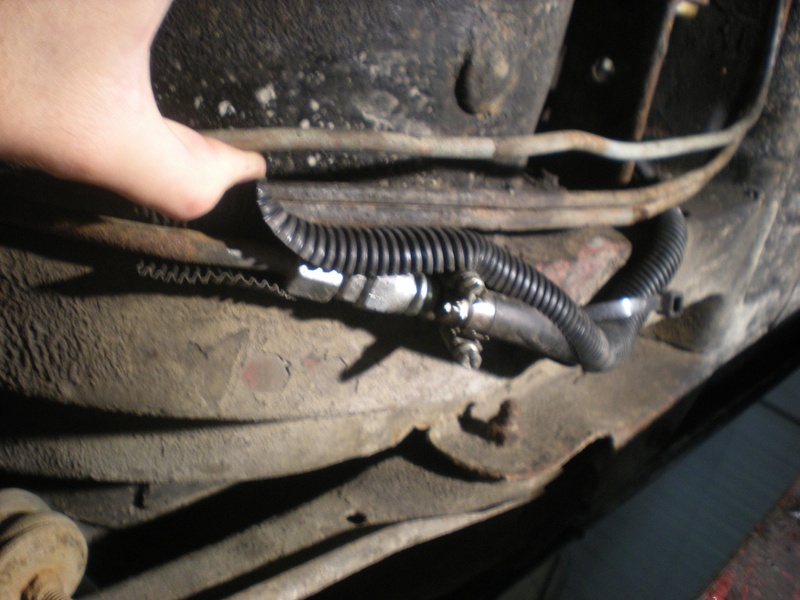 This means I won't be filling up with E85/Gasohol anytime soon, but OTOH, I'll have a reason to replace the fuel lines properly instead of taking stupid risks.